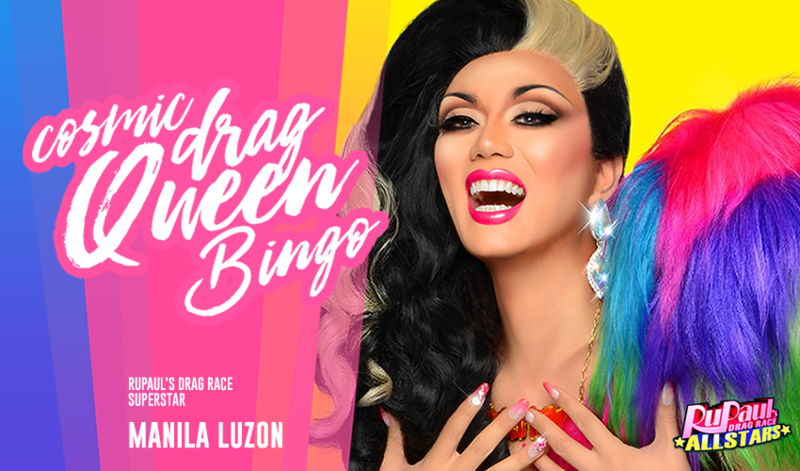 Cosmic Drag Queen Bingo is back Hunties!!! Buckle up darlings!! This feather and sequin-filled bingo roller coaster ride is an event you won't soon forget!! We return to our fabulous venue, with great prizes and amazing drag queen celebrity talent! Now Girl, hurry up and sashay away to get your tickets! VIP Meet & Greet includes 6 cards per game, Meet & Greet Photo Op, plus stage seats! Premium Seating includes 6 cards per game and premium seating near the stage! General Admission includes 6 cards per game and seating in the General Admission area. New! Under 19 ticket includes Meet & Greet Photo Op + Merch shopping only. 7:30-8:00PM.